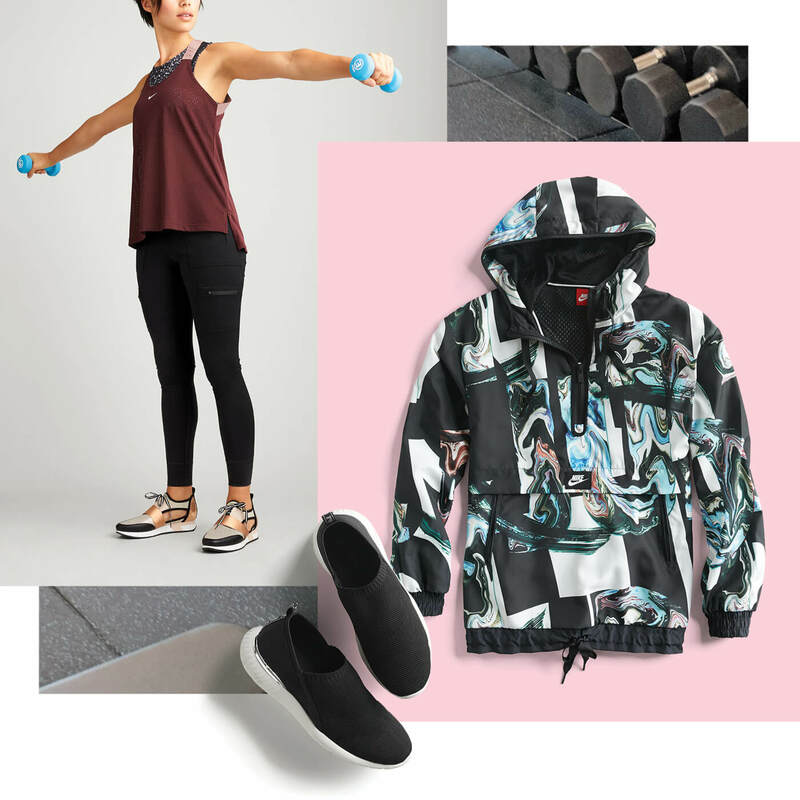 Look great at the gym, on the trail, at home and on the go, achieved with stylish pieces that mix and match into your casual wardrobe. 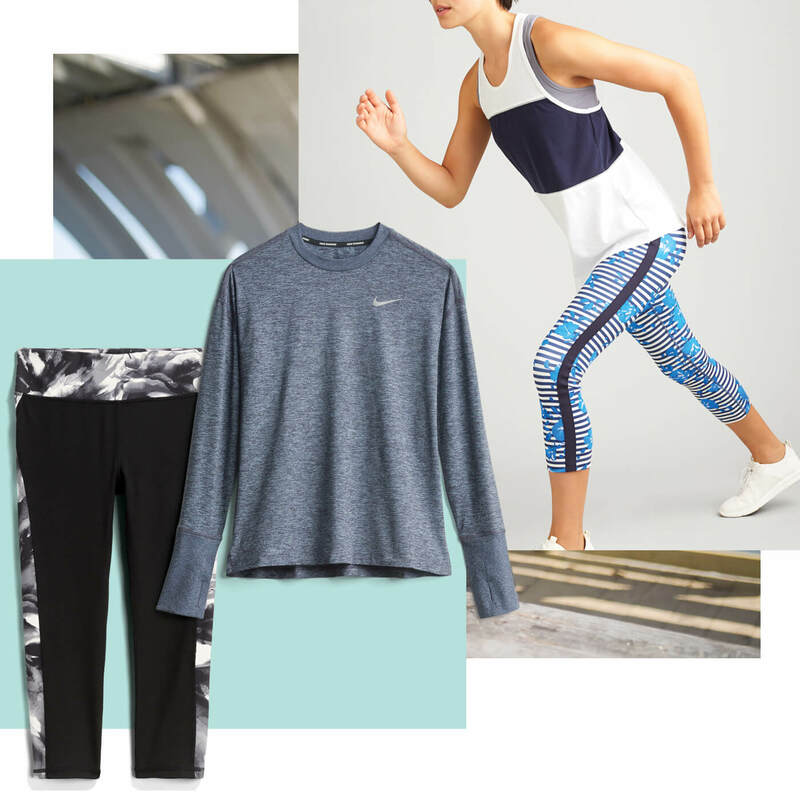 Your workout outfits are about to get a fashionable jump start! Love yoga? Layer up for optimal style to and from the studio. Layering lets you be comfortable in any temperature (and also acts as a costume change!) Don’t forget to wear shoes that are easy to slip on and off! Stylist Tip: Wear a jacket over a hoodie for a cool, casual look on the way to and from the studio. Hit the ground running with performance wear that can keep up. Make sure to dress in the right shoes (to avoid injuries), full-coverage tops (for extra support) and fitted pants (to avoid sagging!) during your workout. Stylist Tip: A tee, baseball cap or sneakers can add a punchy detail to your sporty ensemble. Turn your gym clothes into a fashion statement by mixing and matching your favorite tops, bottoms and footwear. Wearing a printed tee? Go for classic black leggings. Wearing a black tank? Add a pop of color with a bralette. 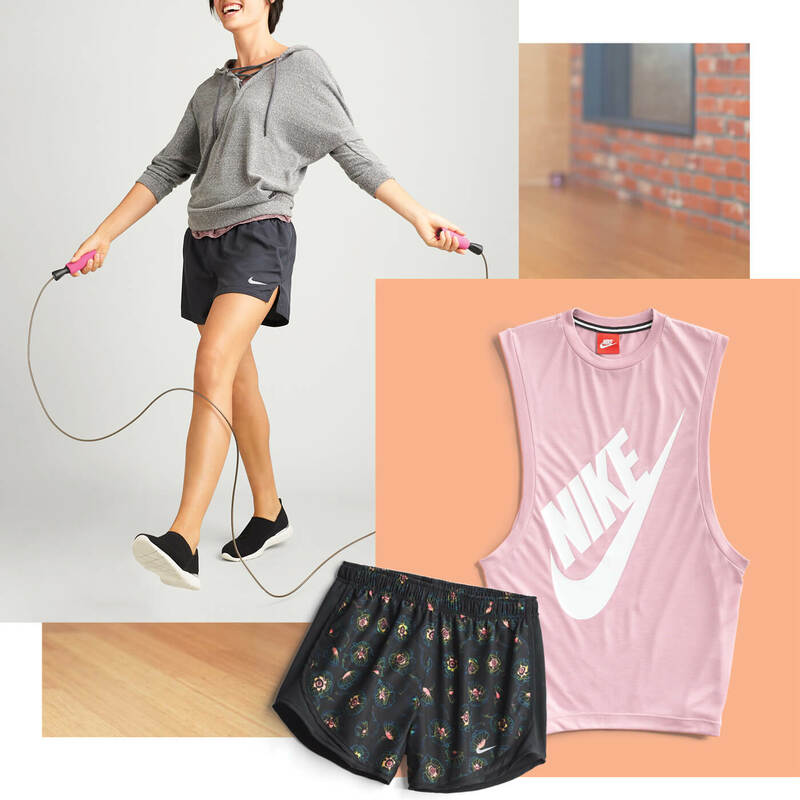 Change up all your outfits each gym session to keep things fun! Stylist Tip: Backpacks are a fashionable and functional accessory for storing your water bottle, towel and sweatshirt! 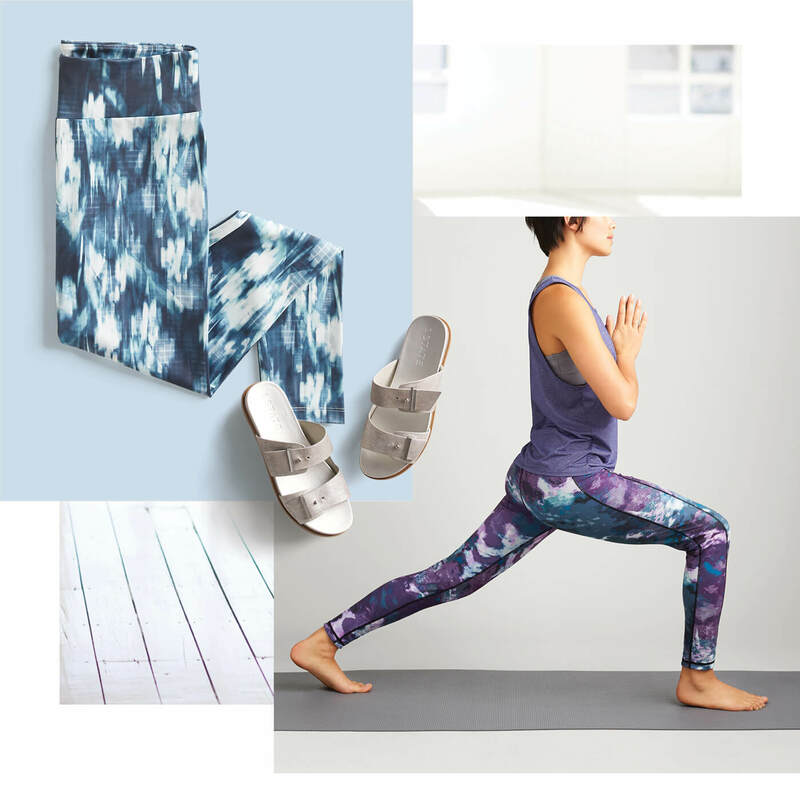 Even the most intense workouts at Barry’s or SoulCycle can benefit from a style boost. Keep your concentration by avoiding super loose tops and pants and instead go for true performance wear and innovative fabrics with wicking or cooling fabrics. Stylist Tip: Leggings from just anywhere may be see-through when you bend! Invest in true performance fabrics with spandex, which will stretch with your body and keep you covered, even with your most intricate moves! Planning to hike through the mountains? While you’re exploring the great outdoors, you’ll want to be stylish, but comfortable and protected from the sun too! 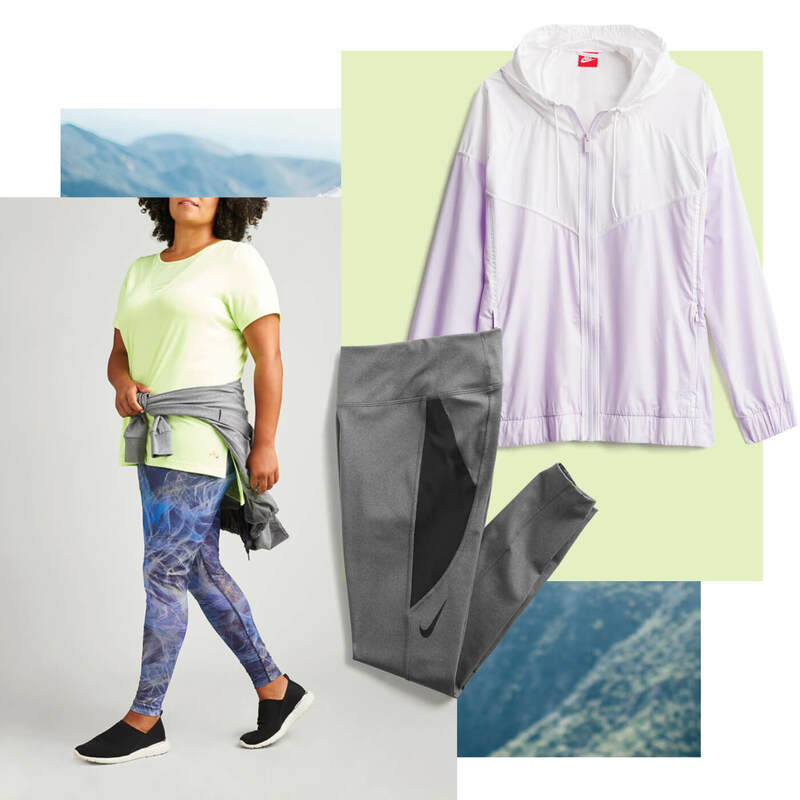 Grab a comfortable pair of leggings, a breathable top (nothing beats fabric with sweat-wicking properties) and a light, windproof jacket as you explore the great outdoors. Stylist Tip: High-rise leggings stay nice and secure, avoiding sag and keeping your shape! Ready to sweat in style? Schedule a Fix & let your Stylist know you need new gear!